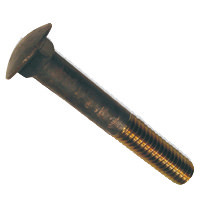 Fastener Length Choose an option2"2-1/2"3"3-1/2"4"4-1/2"5"6"7"8"9"10"11"12"13"14"16"18"20"24"25"
We can ship internationally but we must charge actual shipping and handling rates. If your order is shipping to an international destination ( the United States), after you place your order, we will contact you by e-mail with a quotation for the extra shipping and handling charges. If you wish to continue with the order, we will send you an electronic invoice by e-mail and once it is paid, we will ship your order. If you prefer not to proceed with the order, we will refund your order in full immediately no questions asked. 2", 2-1/2", 3", 3-1/2", 4", 4-1/2", 5", 6", 7", 8", 9", 10", 11", 12", 13", 14", 16", 18", 20", 24", 25"
Custom Silicon Bronze Alloy 655 Keel Bolts with up to 2″ of threading on both ends. Additional threading can be added to purchase in 1″ increments. Please specify exactly how many inches of thread are required on each end of the bolt. All threading is coarse (NC). 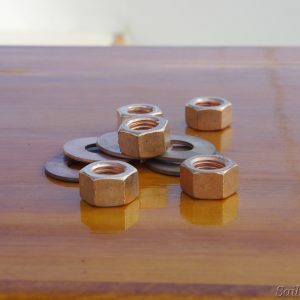 Remember to order nuts and washers. 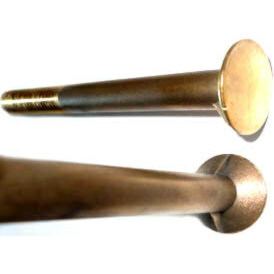 All Bronze Carriage Bolts Are Full Body Cut Thread Grade 655 Silicon Bronze. Cut thread for a tight seal. 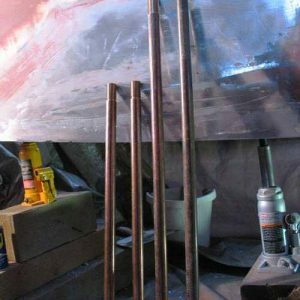 The choice of professional boatbuilders. 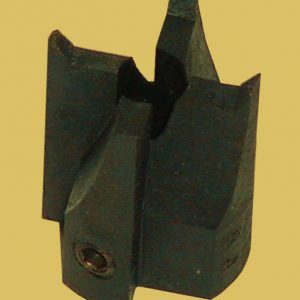 Carriage bolts are designed for bolting through where the square neck is used to keep the bolt from turning as a nut is tightened on the other end.